The need on the streets is great; there were 7,649 healthcare interventions during 2016, an increase of 73% compared to 2015. Riverbank is a practical place as well for GPs and hospital consultants to see their homeless patients, who might otherwise fall off the radar. Riverbank’s primary healthcare services are provided thanks to the voluntary support and in partnership with the HSE, St. James’s Hospital, the Dublin Regional Homeless Executive and SafetyNet. Treating physical and mental health issues before they turn into A&E visits makes sense from both a humanitarian and an economic perspective. Compassion – in the face of tremendous demand – is an essential ingredient to healing at Merchants Quay Ireland. There were 2,474 nursing interventions in 2016, an increase of 68% compared to 2015. 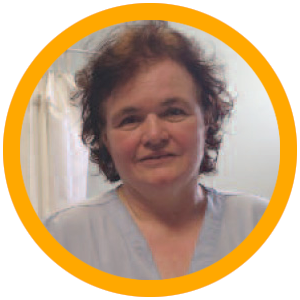 Behind this number are many instances of our nurse, Marguerite, going above and beyond the call of duty – accompanying people to A&E, treating overdoses on the street and giving people respite in the nurse’s room. We mix this with the leading practices on issues such as wound care, blood testing, sexual health, medication management and gender specific health issues. The dental service continued to be in high demand across 2016 with a total of 666 individuals receiving treatment from our dental team, an increase of 42% on 2015. The dental service operates on a drop-in basis in the afternoons and a structured appointment based service in the mornings, allowing the dental team to provide longer, extensive treatments including oral surgery, full oral rehabilitation work, molar root canals and surgical extractions. Our dentist Niamh is completely donor funded for the next two years. We see huge tooth infections, dental trauma from clients getting hurt on the streets, neglect because they have no water or their toothbrushes get stolen. When we’ve done a filling, they are nearly crying with happiness. In 2016, 315 people accessed our mental healthcare services, an 8% increase on 2015. There were 1,407 appointments provided in 2016, of which significant crisis support was required on 161 occasions. Having the mental health team means that clients no longer have to wait for hours in A&E and can get their issues addressed before they turn into full-blown crises.